Almost every media company in creation is swarming to Comic Con and by the end of the weekend even your local TV evangelist will be spouting about it's riches. 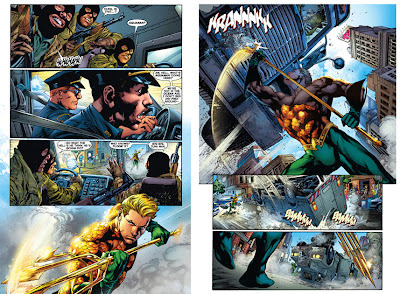 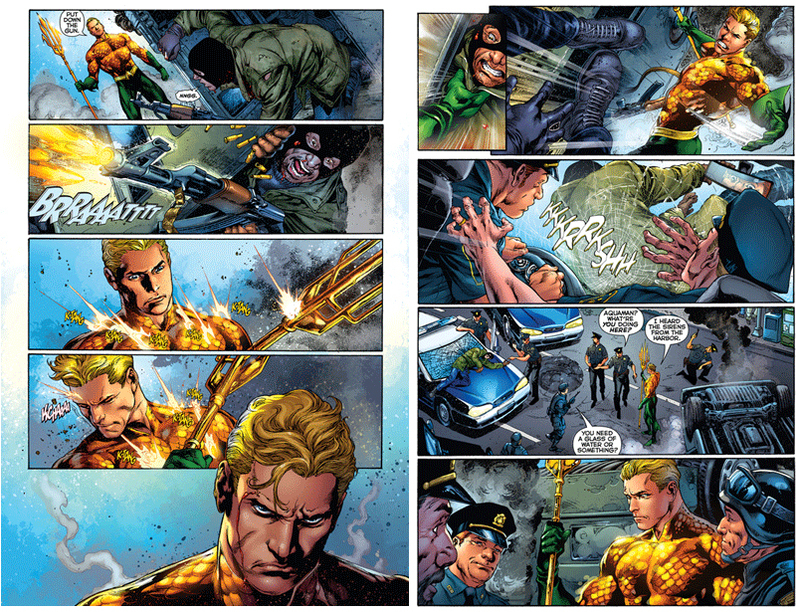 The Hollywood Reporter is no stranger to covering the riches of tinseltown for the masses, so it's only fitting the preview for Ivan Reis and Geoff Johns movie worthy Aquaman #1 splashes down inside it's pages. 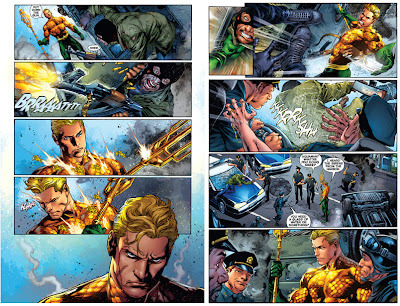 Alerted to the teaser by the ultimate treasure trove for all things Aquaman - The Aquaman Shrine, here's Arthur proving that when he's handled right he's a sure fire traffic-stopper (click to enlarge). 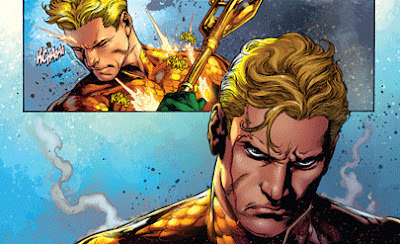 For more of The Hollywood Reporter's Con coverage, including real-life super-models fighting over Aquaman's bullet proof body, visit The Aquaman Shrine. Aquaman #1 is out this September from DC Comics.